Automotive workplace equals a lot of oily and greasy parts that need cleaning all over the place. In addition to that – it also means a lot of dangerous chemicals that are used to clean those parts. In general, it takes a lot of work to maintain an automotive workshop in New Zealand clean. With Alsco, those efforts are completely delegated to us. We offer a revolutionary Ecosafe Washer with no hazardous chemicals. It eliminates all the grease and oil from your parts without hurting the parts themselves. Besides this amazing cleaning system, we also offer floor mats, First Aid Kit, washroom services and much more. Stain resistant workwear is the perfect type of uniform you need for your automotive business. We can also offer you UV resistant and fire-retardant garments. All our uniforms are durable and pleasant to wear. Moreover, your workwear can also have your own company logo on it, to boost your brand and make your employees look more professional. It is hard to keep an Automotive workshop clean, but it is not impossible. Start from the floors. By choosing high-quality, heavy duty floor mats, you will prevent the dirt and dust from spreading and contain it in them. Alsco New Zealand will replace those mats regularly, so your workplace floors will be in much better state. We can also help you improve working conditions for your employees by offering them Anti Fatigue mats, or even boost your brand by placing your logo on them. It goes without saying that any automotive workplace will have serious cleaning issues with oil and grease on parts. So it’s good to know that the water based Alsco Ecowasher is the safer, more economical solution to cleaning automotive parts without the need for harmful solvents. Our industrial wipes, are a cost effective way to clean almost any surface as well. And to ensure hygiene standards are at a premium in your washrooms and work areas, our soft absorbent Continuous Towel is the preferred option to paper alternatives. Jagged edges on damaged auto parts can easily cut you. You can accidentally hurt yourself with a wrench or some other tool. Dangers of injuries are increased in any automotive workplace. That’s why you need to be prepared and the most efficient and hassle-free way to do it is to trust Alsco New Zealand with your First Aid Kit management. We offer several types of Kits that we replenish and check regularly. Automotive industry requires a lot of dangerous chemicals to be present in the workplace. When some of them spill, it is essential that it gets contained immediately. That’s why it is important to have your very own Alsco spill kit that will prevent a spill from turning into a disaster. Besides this, we also offer Automatic Defibrillators that are precious in case of cardiac arrest. 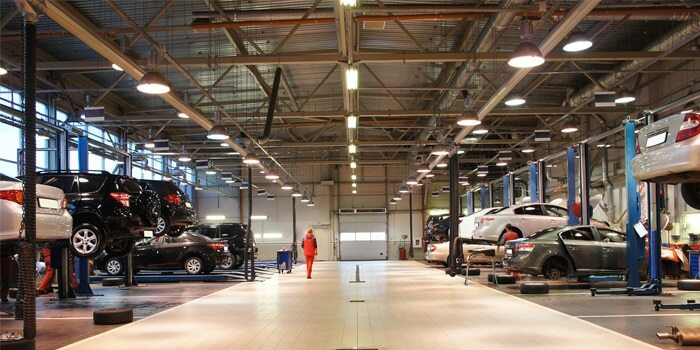 During work and after work in an automotive workshop, you need to have efficient and 100% sanitary facilities to wash yourself and remove all that oil and grease from your hands. Due to the nature of the work, the soaps, towels and other items that need replacing quickly get used up. With Alsco, you don’t have to worry about that kind of things, because we will regularly replenish your supplies and even install our own soap dispensers, hand sanitisers, odour control units and much more.